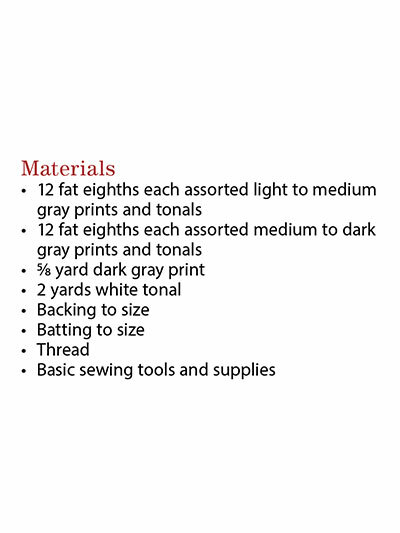 Use this Exclusively Annie's Quilt Design to create a unique treasure. 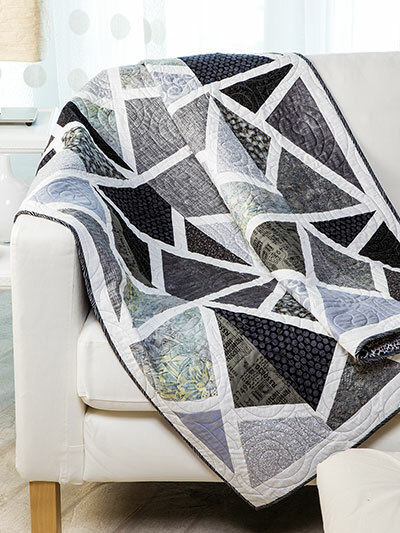 Stack your rectangle fabric scraps, slash them, add sashing and repeat to create a stunning finished quilt. No 2 quilts made with this pattern will look the same! Finished size is 49" x 65". This is a beautiful and easy pattern that created a stained glass look for me. I added vertical sashing strips as well and was very pleased with results. I haven't made this quilt yet but it is very pretty and easy to follow I will be shopping more for more patterns. I haven't made this Quilt, Yet. But, I know that it is the Coolest Looking & The Person I Will Be Quilting it For Will Absolutely Love it!